Mr. Downey has served as a member of the Board of Directors of Premier, Inc. since June 2015. Since January 2012, Mr. Downey has been the President and CEO of Riverside Health System, which is one of our member owners, in Newport News, Virginia. He served in various roles with Riverside Health System from 2001 to 2011, including Executive Vice President and Chief Operating Officer. Mr. Downey is a Fellow of the American College of Healthcare Executives. 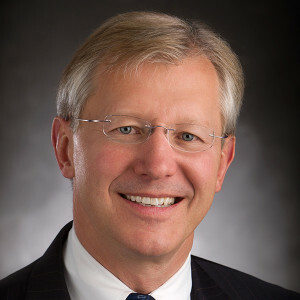 He serves on the Board of Visitors of Christopher Newport University and the Boards of Directors of An Achievable Dream, Hampton Roads Economic Development, Virginia Health Network, Jamestown/Yorktown Foundation, Inc. and TowneBank – Peninsula. Mr. Downey received a bachelor’s degree from James Madison University and a Masters degree in Health Administration from the Medical College of Virginia.